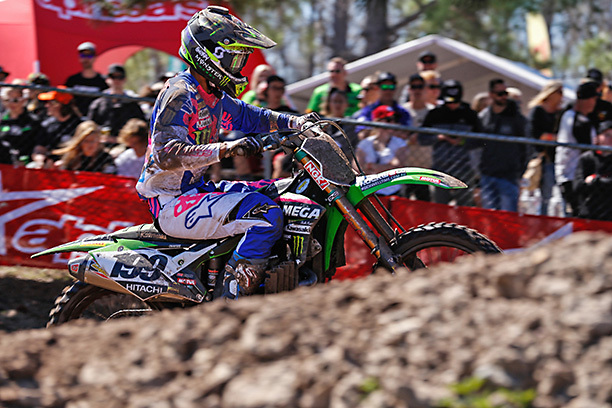 MEGA Fuels Monster Energy Kawasaki Racing Team duo Brett Metcalfe and Nathan Crawford endured a challenging final round of the 2017 MX Nationals at Coolum on Sunday, August 20, despite once again displaying front-running form. 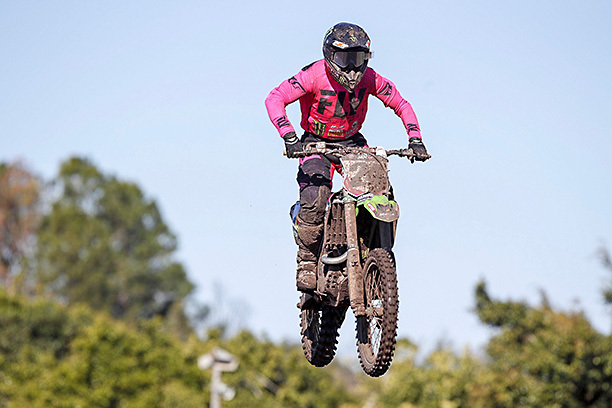 Qualifying saw Crawford slot into Super Pole aboard his KX450F and claim fourth in the session, as Metcalfe lodged the seventh-fastest lap in regular qualifying at the sand-based Sunshine Coast circuit. For Metcalfe, he was hindered by the major crash experienced at Echo Valley just seven days prior and eventually went 6-5 for sixth overall in a consistent showing to cap-off the 10-round series. That saw him cement seventh in the standings despite missing a round mid-season. “I was looking forward to coming to Coolum, a sand track that I’d heard a lot about,” Metcalfe said. “I didn’t have the day I’d hoped for, but – no excuses – my body was a little tight from that crash last week at Toowoomba. “To come into what is probably the roughest track on the circuit, it didn’t help. “It was a consistent, steady day and I didn’t get good starts, so I made it hard for myself, but all in all I’m happy to get the series finished. Crawford, meanwhile, experienced challenges of his own during the pair of 30-minute motos after suffering a sizeable crash in the first encounter. A DNF as a result put him on the back-foot for the remainder, however he rebounded for P7 this afternoon. 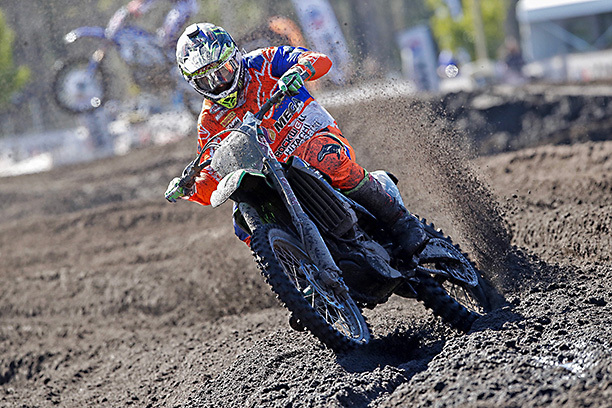 He ended his rookie MX1 campaign ninth in the points after himself missing a round through injury. “It was a tough day and tough weekend really,” Crawford said. “I was feeling good and in the top four, quite comfortable, but the sand caught me out and I had a really big crash. “It’s been a while since I’ve had a crash that big and I was a bit rattled. “I did my best to recover between motos so I could make the gate again. “I got a good start again, but another silly little tip-over put me back, then we fought our way back to seventh and that was the weekend for me. The Kawasaki team now sets its sights on the upcoming Australian Supercross Championship with Crawford and multiple champion Dan Reardon when it begins, September 23, at Jimboomba, Queensland.